Hi all, welcome to my review of a workout program called, ”Body Mind Wisdom Tai Chi for beginners Previously I have chatted about Tai Chi. Its importance not only to helping with tinnitus but to your general overall health and well-being. If you would like to read more, here is the link to my article,’ Does Tai Chi work for Tinnitus? You will find information about the Tai Chi practice, its origins as well as its differences with Yoga. Before I jump into the review of this program, I would like to discuss home based programs in general.The benefits that a home based program offers. Then I will cover the important things to look for when selecting a Tai Chi home based program.Finally, we will chat about my recommendation to you. So, How do Home based programs actually work? Have you ever tried a home based program before? Some of you have and some of you have not. For those of you that have done this before, you can skip over to the section where I talk about the important requirements that a Tai Chi program should have. I have listed a couple of questions below for you. After going through them you will have a more clearer picture of what a home based workout is all about. The point here to get you more comfortable with the idea. So before you even look at my recommendation below of a great Tai Chi home workout, take a moment to answer these questions below. ‘Can I picture myself doing this at home? ‘Do I have the time for this? ‘ What will motivate me to keep doing this especially when I feel that I am slacking? ‘ Am I open to learning from an instructor, who will not be able to see if I am doing the style correctly? So, how did you fair? Do you feel more confident now in doing a program having an idea of what it is all about? If you are not sure, it’s not the end of the world. Different strokes for different folks. I don’t like the idea of forcing anyone into doing something that they are not yet ready for. I believe when someone is ready and willing to do it by themselves, the results are nothing short of amazing. You work in the comfort of your home, no gym fees, no driving out, no gas or petrol expenses. You save time, prioritize a workout, 10-20minutes. Then you move on with your next daily chore. You learn self discipline and patience. You learn to motivate yourself. You also get to know more about yourself, like finding out what motivates you on your good days and what brings you down on your bad days. Going through this list below will make things easier when choosing a specific Tai Chi program. In fact, you can use this list when selecting any home based work-out program. The program must be. Popular-Reviews will tell you a lot about the program by the people who have used it, and if it does the job. Easy to do- This goes without saying, the program must be user friendly and inviting to do. Navigation on DVD, menus must be easy- You don’t want to waste unnecessary time looking for the routine to start off with. Instructor’s voice must be clear and things should be explained in “lay mans” terms..
Learning styles must be easy to grasp. Background music must be appropriate and not compete with the instructor’s voice. Less monotony and more variety – Overall experience must not be a boring or dull workout. The choice I have selected covers the above-mentioned criteria. A little background to the actor, Chris Pei. He is the president of the USWA(United States Wushu Academy). He is a world renowned Tai Chi instructor and teaches across Canada, the US as well as in Europe. He has represented the United States in competitions and demonstrations worldwide and worked with some of the top world masters of the U.S. and China. His passion and work with Tai Chi has made him the chosen translator for important families at major conferences. 8 Customized lessons to learn the Yang style of Tai Chi. These lessons range from 10-30minutes. Over 3.5 Hours of instruction. Easy to follow , step by step instructions. Low impact exercise making it safe and effective for everybody of all ages. Multiple Camera angles, allows you to see moves from different angles. Chris Pei points out common errors. Good Sound and video quality. Instructors voice is clearly audible over the music. Too Slow- The movements in the warm up and lessons may be felt to be too slow or boring. Later on however the pace does pick up. ‘Mirror effect’ not present.Some people have found it hard to follow as the instructors don’t clearly mirror the movements to you. I have now come to the end of my review on Tai Chi for beginners. Let us not forget the purpose of Tai Chi, to ultimately build strength, improve health and flexibility, to reduce stress and maintain flow and balance to your mind, body and soul. You never know what will work and what won’t. It’s all about trying. You might even be surprised.Who knows, maybe after you’ve done this workout, you may even become a Tai Chi instructor.It’s all up to you. Thank you for spending time at my site. I hope you that you have enjoyed this article and found it of use. You are welcome to leave any comments or views below.Please share with others whom you think will benefit from this article. Kind Regards and See you soon!! ← An Investigation between the link of Hypnosis and Tinnitus. I have never read anything about the condition Tinnitus before so it was very interesting for me to read all about it. I like the way you have set out your website and I think your links are great. Well done on inserting your links and I have checked they all work. I am happy that you enjoyed your experience here and found the website to your satisfaction. Glad also to have given you information about Tinnitus that you were unaware of before. I will certainly be updating with more information as time goes by, so do stop by if you are interesting in learning more. I really like your article about Tai Chi for Beginners. What health benefits does Tai Chi bring? I’ve seen people on beaches and in sunset settings on the internet doing it but other than calmness and inner peace I wondered if there were health benefits also. 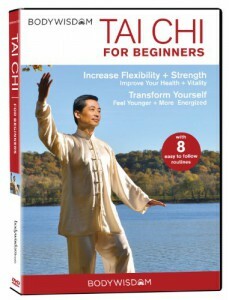 Is this the best Tai Chi for Beginners DVD on the market at the moment? I am glad that you enjoyed this article. Yes, Tai Chi certainly does offer a lot of health benefits. These include improving muscular strength, flexibility and balance. It helps to improve certain conditions such as arthritis, heart disease, heart failure and stroke to name a few. In these cases it works effectively along with the appropriate medical treatments. 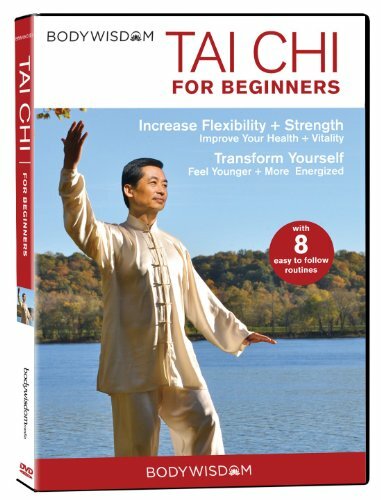 As we speak, I think that Tai Chi for Beginners, is the most popular one on the market. Tai Chi defiantly sounds like it would be beneficial to both the mind and the body. I work a lot behind a desk so I don’t get much time to be as active as I would like to be. I was wondering, how rigorous is Tai Chi? Is it something you would recommend to a beginner who is really out of shape or would it be better if I started jogging or biking first? It may not even matter I’m just wondering. I personally find Tai Chi a very low impact,slow and rhythmic exercise workout. It certainly is something I would recommend for not just a beginner but anyone wanting to “ease the pressure of life,” and find some peace and relaxation. If someone is out of shape and would like a more defined body, I would recommend something like the P90X Extreme home fitness workout. It is all about personal preference and what you are most comfortable with. This was really interesting and I had no idea that there was a positive link between Tai Chi and Tinnitus. Interesting, given so many people suffer from it and it can be quite hard to cure. I really like your honesty in this post, highlighting some of the questions to ask when considering any home-based exercise routine. I have jumped into home-based purchases before without asking if it really suits and you guessed it – the DVD’s are now gathering dust! Tai Chi like yoga, or medication or coloring books, all offer a sense of relaxation and de-stressing when doing them. At the end of the day, it is about controlling the stress which ultimately brings down the intensity of the tinnitus. This goes without saying that lifestyle modifications must be included in as well. Not everything is for everyone. This is the main reason that I am including a variety of options for tinnitus. Some may work for you and some may not. Similarly, as you have mentioned, home based exercises is not for you. At least, now you know that there is something that will work for you. It is a case or trial and error. A very very VERY good post on the positive benefits and health rewards that you can get from doing Tai Chi. Thank you so much for your compliment. Its means a lot to me. Glad to have given you some info to take home. ‘Can I picture myself doing this at home? Yes, I would be more comfortable. ‘Do I have the time for this? There is always time. You make time. ‘ Do I have the drive or commitment to see the program through?’ I believe when you start something you finish it. ‘ What will motivate me to keep doing this especially when I feel that I am slacking? Education and speaking to a coach. ‘ Am I open to learning from an instructor, who will not be able to see if I am doing the style correctly? Yes because it is great for motivation. ‘Am I ready for this awesome challenge?’ Something to consider in the future. Thank you again for the insight Roopesh. Thank you very much for answering these questions. WOW!!! Looks like you are all set and ready to do Tai Chi again. What a wonderful review! Tai Chi is one of the things I have always wanted to try. I tried yoga, but that just wasn’t for me. The connection between tai chi and tinnitus is quite incredible and makes complete sense. Tai chi does seem like it would be incredible at reducing stress, which i so need. I think I may invest in this DVD. I love Yoga and I guess it may not be for everyone. I think it’s about trying all these things out and see which one really gels with you. If you give this a go, let me know how it turns out. this is a good review man, I never knew Taichi is good in many areas not only when come to muscle, but the one i love what you wrote is when you question your reader on thing they should question themselves giving them a vision and goal on doing it. great review, to help people with Tinnitus. Glad to hear that you enjoyed the read. I was wondering if Tai Chi is helpful for anxiety? I already work out from home, so I am used to being in my house for exercise. However, working out on its own does not seem to be helping with my anxiety. The other thing is that I don’t have a DVD player. Is this program available online? I think personally, it does an amazing job for anxiety relief. Perhaps give it more time and try to do it as regular as you can. Over time, it will be easier to get your mind into that phase and experience the benefits. I am not sure, if this particular program is available online. I will investigate and get back to you. To learn Thai Chi is one of my ‘To do list’ items. Thank you for your review! I was actually wondering if there was a home base program. I did couple home based programs, I love them. I love the fact that I can do them whenever I want, and the fact that I do not need to go anywhere to do what I enjoy. I am going through a Yoga Home Base Program now and absolutelly love it. You are welcome. Yes, there are home based programs and I have done a review of one of them. Its wonderful to able to do it at your own leisure. Glad to hear that you are doing the Yoga one. I am sure that it is relaxing as well. 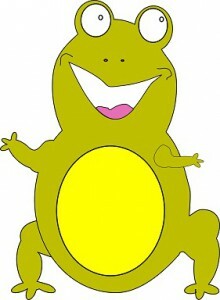 I think just like Tai Chi, once you get the hang of it, you will not be able to stop. i have practices tai chi for a little bit of time and find it very interesting. After practicing for a while the movements start feeling so natural. It is amazing. I believe that it can be considered as a different kind of meditation, while using your body and your energy as a whole. I learnt tai chi by reading a book and found it easy. Thus, this program which also contains DVDs will make the lessons feel like a piece of cake.